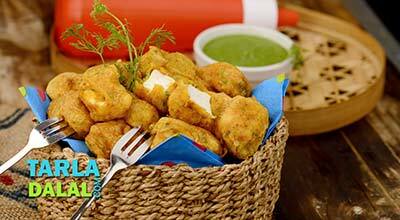 Pakoras are inseparable from Indian Party menus! 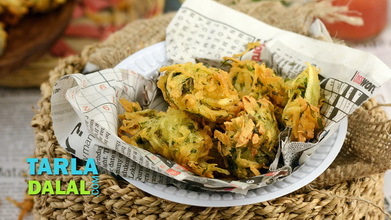 They also gain special importance in the monsoon season, when everybody yearns for something spicy and crunchy to munch on. 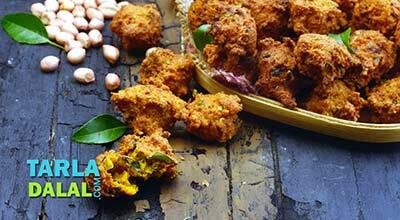 The burst of flavours and the crackling mouth-feel of pakoras are simply inspiring, and boost our appetites to top gear. 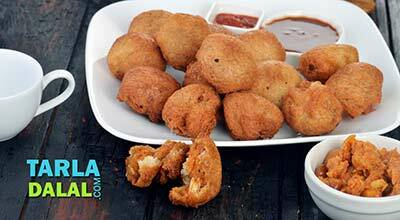 Here is one such awesome Veg Pakora, made with a mix of vegetables held together with besan and spiced up with chillies and spice powders. 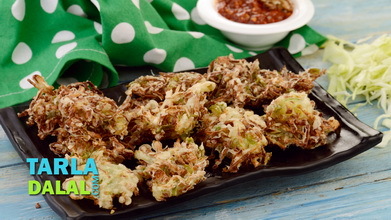 The combination of vegetables too is really wonderful, as they all have a good flavour and juicy crunch in them. 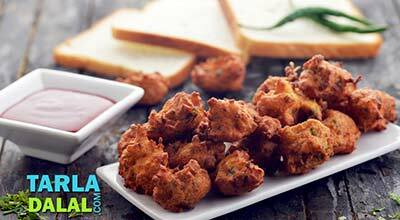 Serve the pakoras immediately after preparation with chutneys and ketchup. 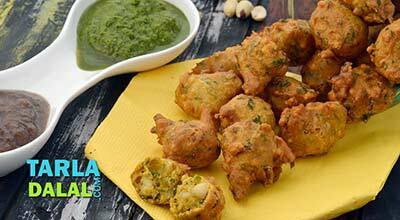 You can also try other pakora recipes like Urad Dal and Onion Pakodas or Moong Dal Pakoda. 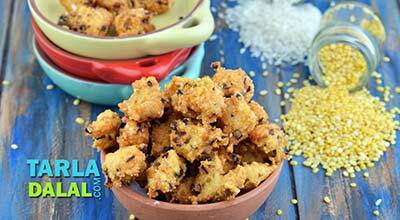 Combine all the ingredients, except the besan and rice flour in a deep bowl and mix well. 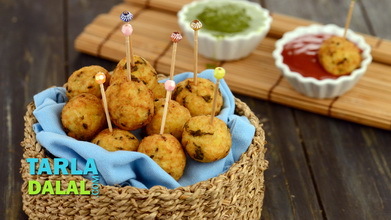 Add the besan, rice flour and approx. ½ cup of water and mix well. 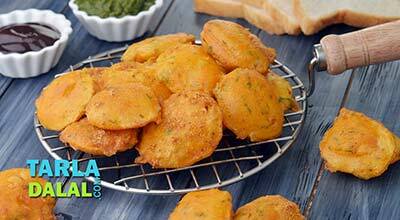 Heat the oil in a deep non-stick pan, drop spoonful of the mixture using your fingers and deep-fry a few pakoras at a time on a medium flame till they turn golden brown in colour from all the sides. Drain on an absorbent paper.